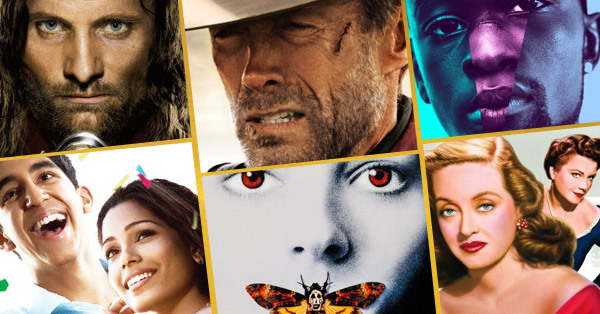 We present our best guesses for all the Academy Awards categories! Every year, we at Rotten Tomatoes sit in a room and try to pick who’s going to win what at the Academy Awards. And every year, when Monday rolls around, we’re frustrated, stunned, hurt — we run the whole gamut of emotions, but one thing is clear: we didn’t have any idea who would win. So why do we continue to apply scientific theories to our predictions, knowing that the whole process is a futile as guessing who will win the NFC East next year? Because we must. Without further ado, we present the RT editors’ picks for the 84th Academy Awards. Take this list with a grain — nay, a shaker — of salt. There’s been a certain inevitability about The Artist; it’s taken top honors at the Golden Globe, the BAFTAs, and the Directors Guild of America Awards. 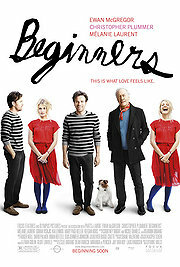 It’s a celebration of the movies (which the Academy can certainly appreciate) that’s likeable but not lightweight. In other words, it has just enough gravitas that voters can feel comfortable choosing it over Hugo (another delightful homage to old movies that might lose simply because Martin Scorsese got his long overdue Best Picture/Director statues in 2007) and The Descendants (which just doesn’t feel like it has the momentum). We think The Artist is going to win big Sunday night, and we haven’t seen many signs that would dissuade us from what’s become a majority opinion. It’s rare that the director of the Best Picture winner doesn’t take this one as well. Plus, if you win the Directors Guild of America award, you’re practically a mortal lock for the Oscar. 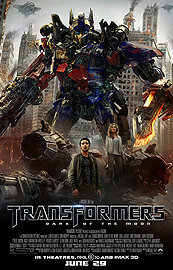 Even though Hazanavicius is up against some big names, we think he’s got this one. The Academy loves George Clooney. The Academy also loves it when people deglamorize themselves. 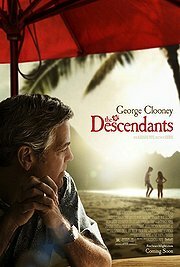 Thus, we’re giving the Descendants star the nod over Jean Dujardin in what amounts to a two man race. Just about everyone commended The Help‘s ensemble acting, but even then, Viola Davis was singled out for praise. She was nominated once before (for Doubt, in 2008), and we think she’s taking home the hardware this time. This category is tough, because it features two elderly legends who’ve never won an Oscar: Christopher Plummer and Max Von Sydow. The Academy has snubbed these guys many times before (Von Sydow deserved to win for The Seventh Seal, Plummer for Star Trek VI: The Undiscovered Country). Since Plummer already won the BAFTA, the Golden Globe, and like, every critic organization’s award, we think he’ll get the nod here. We think this one’s pretty much a gimmie — Spencer won the BAFTA, the Golden Globe, and the Screen Actors Guild awards in this category. 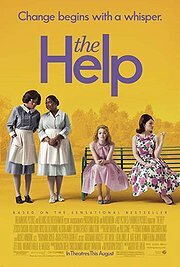 And like Davis, she stood out in The Help, which is no small praise considering the actresses in that movie. It won both the Golden Globe and the Writers Guild of America award in this category, so that’s a good sign. Plus, it’s another opportunity to give some love to the Woodman’s prodigious, prestigious output — even if Allen’s recent films have varied in quality, he’s still capable of making really good movies at an advanced age, which is something that the Academy members certainly admire. Alexander Payne is a screenplay adaptin’ maniac. 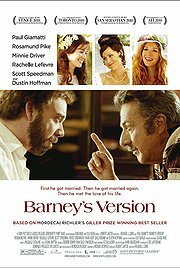 He already won an Oscar for Sideways, and it seems safe to say he’ll get his second one here. Remember when Lord of the Rings: Return of the King swept the Oscars partly because it was awesome but partly because the Academy wanted to give props to the whole series? 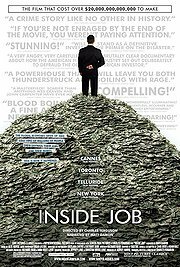 This is the documentary version of that scenario. 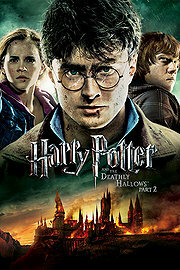 It also doesn’t hurt that the Paradise Lost movies help spring three innocent people from the joint. 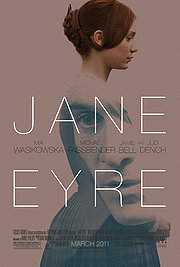 This one seems like a lock, since audiences and critics love it, and because it was also nominated for Best Original Screenplay. It also provides the Academy with a chance to spread some international goodwill at a time when the world community is rattling its sabers at Iran. 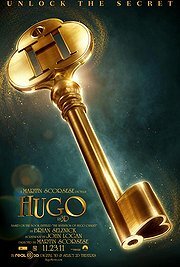 Of all the movies with multiple nominations, we think Hugo is likely to be the most frustrated in its quest for hardware. But Scorsese’s tribute to cinephilia can’t be denied here; in fact, Hugo probably deserves the Oscar just for recreating Georges Melies’ A Trip to the Moon. Even if you didn’t get it, you gotta admit it looked amazing. Here’s where the Academy’s all like, “Yeah, sorry about not nominating you for more stuff… here’s an Oscar.” Oh, and the makeup is really good in this movie, as with all of them. We were way off last year — we picked this when we should have gone with the guy who used to sing exclusively about domesticated hogs. This year, we’re going with The Artist, for one simple reason: nobody talks in that movie, so we’re betting that Oscar voters are paying closer attention than usual to the score. Seriously, Academy? Just two choices here? You might want to tweak the rules next year — or do away with this category altogether. 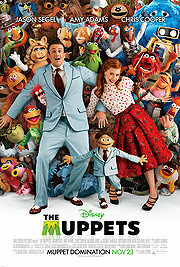 We’re going with the song from The Muppets because a) it’s a good song, and b) we’ve got a 50/50 chance here anyway. We’ll say it again: when nobody’s yapping their gums, it’s easier to pay attention to the other stuff. If they handed out an award for the most sound, this one would win in a walk. Still, give credit where it’s due: even if the Autobots and Decepticons are made of metal, it takes some ingenuity to come up with what they’d sound like when they’re fighting, transforming, and doing household tasks. What movie combines the rustling echo of a rural farm with the earsplitting thud or World War I trench warfare — all punctuated by the gallop and whinny of a trusty, loyal steed? 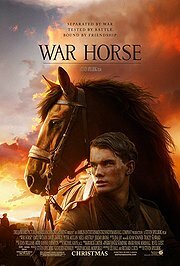 That’s right — War Horse. When your de facto star is a guy in a CGI gorilla suit (or a chimp suit, as the case may be) your visual effects better be good. Luckily, they were. 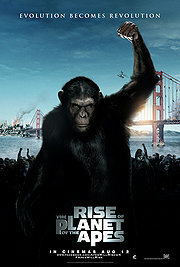 Remember that scene when all those primates busted out of the monkey house to launch an attack on San Fransisco? That was awesome. Tough to call this category sight unseen, so we’re picking Saving Fave, which is about a plastic surgeon who works to restore the faces of women who’ve been disfigured in acid attacks. It’s the first ever Oscar-nominated Pakistani film, and director Daniel Junge was nominated in this category in 2009, so our money’s on Saving Face. We don’t pretend to have any special insight into this category, but we’re going to go with The Fantastic Flying Books of Mr. Morris Lessmore, a whimsical mixed-media film from former Pixar and Disney wiz William Joyce. The 83rd Annual Academy Awards are this Sunday, and amid the frenzy of films and fashion everybody’s got their opinion about who will be taking home that coveted little golden boy (no, we’re not talking about Justin Bieber). 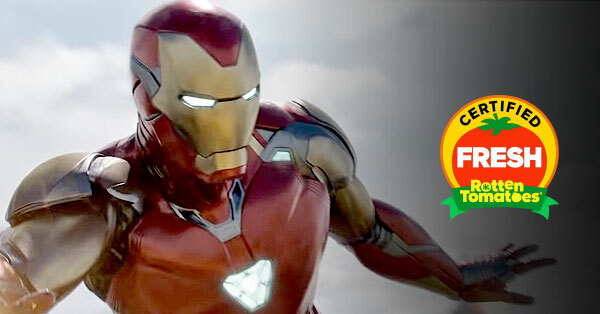 Naturally, we at Rotten Tomatoes decided to add our voices to the noisy din. For seven hours, we locked ourselves in a climate-controlled, airtight bomb shelter, where we hammered out our picks in every category based upon Oscar precedent, current buzz, and a complex algebraic formula involving runes and ostrich feet. But hey, nobody’s perfect — what do you think of our choices? Who do you think will win big on Oscar night? If you’d asked us six weeks ago for our predictions, we’d have told you that The Social Network would win Best Picture. And although The Social Network won the Golden Globe for Best Drama, the momentum seems to have shifted to The King’s Speech. In the last couple of weeks The King’s Speech has been honored by both the Director’s Guild and the Screen Actors Guild. Since the DGA award is a excellent barometer for the Best Picture award, and the acting branch is the biggest part of the Academy, we’re betting that The King’s Speech will take the crown on Sunday night. With the Best Picture race shaping up to be a close call, we think this might be one of those years that the Picture and Directing Oscars get split — in this case between The King’s Speech and The Social Network. You have to go back to Ang Lee winning for Brokeback Mountain while Crash took Best Picture in 2006 to see a precedent, but it’s happened before (Soderbergh for Traffic vs. Best Pic winner Gladiator, for example). 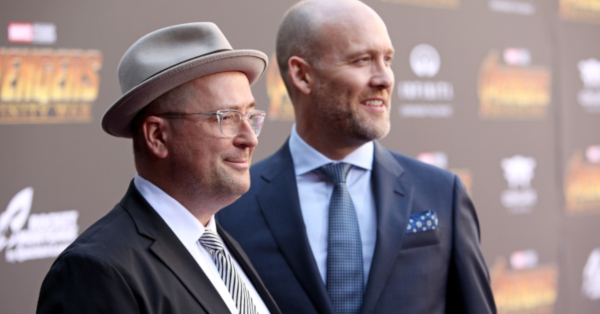 David Fincher (who got nommed for Benjamin Button) has more than paid his dues — plus, turning a Facebook movie into an engaging thriller is kind of miraculous next to sticking your camera in front of a bunch of superlative actors, right? Is there any question that this is going to Firth? He put in a terrific performance, and this is the perfect opportunity for the Academy to honor someone that’s been nominated, but hasn’t won, before (he missed out just last year for A Single Man). We think that this is one of the easiest predictions of the year. Among RT editors, this was the most heavily debated category. For months, Natalie Portman seemed like the odds-on favorite, but recently, buzz has swung back toward Annette Bening, a four-time nominee who’s never won an Oscar. 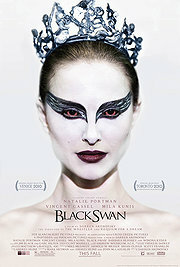 Bening earned deserved praise for The Kids Are All Right, but the movie was released in the middle of the summer, and Black Swan remains fresh in the mind. So we’re going with Ms. Portman. 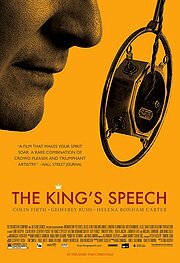 It would be tempting to think that Geoffrey Rush, who’s already won this year’s BAFTA for Best Actor in a Supporting Role, might benefit from the massive love that The King’s Speech is reaping right now. 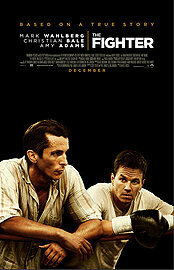 But after a turn in The Fighter that had everyone whispering “Oscar” from the get-go, as well as a Golden Globe, a SAG award, and a Critics’ Choice Award already tucked away, Christian Bale is poised to close the deal on Sunday night. 1. According to Time Magazine’s Richard Corliss, in the last 10 years there have been six instances in which two actresses have been nominated for the same film, and in five of those cases, neither nominee won an award. The only winner from that group was Catherine Zeta-Jones, who won for Chicago. Melissa Leo is a great actress, but she doesn’t have the glam factor that Zeta-Jones had (and still has). 2. We think Leo is going to lose votes not only to her Fighter co-star Amy Adams, but also to Jackie Weaver, who played a very similar role in Animal Kingdom. 3. Hailee Steinfeld has a better shot that a lot of people realize. Performers get nominated in the category for which they received the most nominations, so even though Steinfeld plays what seems like a lead role in True Grit, more Academy members nominated her for Best Supporting Actress than Best Actress. But we think that she probably got a lot of nominations for Best Actress too, except that she can’t be nominated in both categories. Anyone that nominated Steinfeld for Best Actress will likely cast their vote for her in the Best Supporting Actress Category, and that will put her in front of Melissa Leo. 4.Melissa Leo undoubtedly lost votes for the “for your consideration” ads in the trades that she paid for herself. The Academy likes humility (or at least the appearance of it) and although Leo says the ads are more about Hollywood’s ageism, we think that voters ultimately won’t appreciate her self-financed campaign. 5. Hailee Steinfeld’s uncle is bodybuilder Jake Steinfeld, of “Body by Jake” fame. 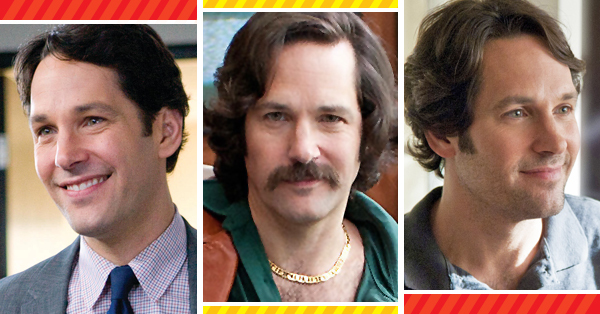 There’s no way Melissa Leo can compete with that. 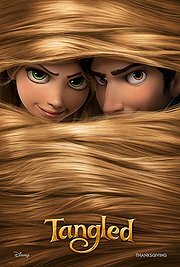 The highest-grossing animated movie ever is up for a Best Picture award it won’t win, so those votes will cascade down towards Animated Feature Film. Obvious. 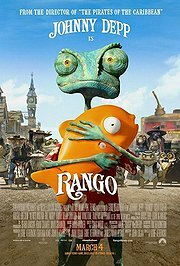 And, sure, How to Train Your Dragon was a sleeper hit with long legs that swept the Annies, but that didn’t help Kung-Fu Panda (also a sweeper) in its bid against WALL-E in 2009. Inception was the year’s most fervently-discussed head trip, with audiences and critics ceaselessly debating its labyrinthine dreamscape. 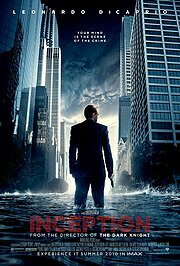 Whether you’ve “figured it out” is beside the point; Inception‘s complexity and originality likely impressed Academy voters. It’s already picked up the Writer’s Guild Award for Best Original Screenplay, and we think it’s a safe bet in the equivalent Oscar category as well. How do you make a startup seem exciting to non-coders? Ask Aaron Sorkin, whose rapid-fire script for The Social Network was praised nearly as much as David Fincher’s direction. Plus, it already picked up the Writer’s Guild Award in this category, so this seems like a safe bet. We’ll make this easy: there are only two movies in this category that a large majority had ever heard of before the Oscar noms came out, and they are Biutiful and Dogtooth. For one, we don’t think the Academy is likely to honor a film as bizarre and controversial as Dogtooth. 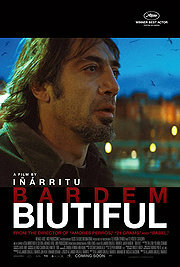 But more significantly, Biutiful is the only foreign language film with a horse in the Best Actor race (Javier Bardem), and that says a lot. 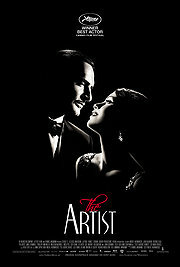 Where many of the nominees achieved their distinct looks through production design by way of CGI — and Inception‘s digital vistas make it a tough contender to rule out, especially as Avatar clinched the prize last year — we’re going with the period-drama reliability (and likely Academy affection) for The King’s Speech, which should collect at least a couple of production awards en route to its Best Picture win. True Grit‘s strong here, too, but Royal Palaces will win over the dusty west. Panoramic views. Sweeping vistas. Swathes of color. 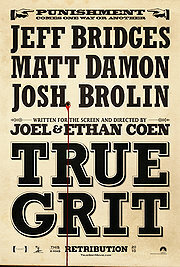 Only one nomination has it all: True Grit. Roger Deakins is in peak form and working with the Coen brothers in their favorite location — the open American landscape. 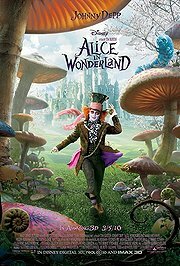 Say what you will about the much maligned Alice in Wonderland — its costume design was undeniably something else. Plus, this is the kind of category where odd films out can win on the specifics of costume, irrespective of the film’s critical standing. The King’s Speech might seem a popular pick, but we’re going for two-time winner Colleen Atwood, who’s a costume design icon — and oddly, despite her longtime collaboration (and two noms) with Tim Burton, has never won for her work with the director. Paul Giamatti as an old guy equals hardware. And really, how much work did Rick Baker have to do on the already quite hirsute Benicio Del Toro anyway? Wait, what, Scott Pilgrim wasn’t nominated? Then we gotta go with The Social Network. It keeps the audience informed and interested across two very different eras (the deposition, the rise of Mark Zuckerberg) as the drama builds and builds. 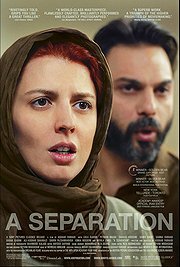 The film ultimately achieves fluid, delicate grace. 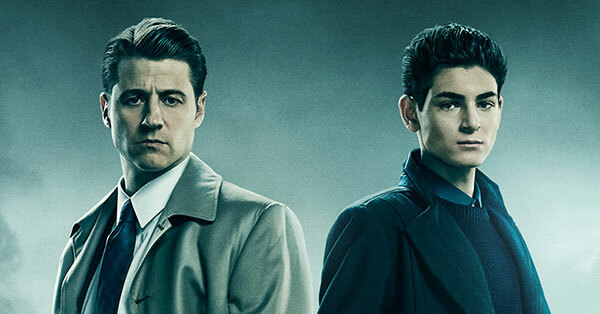 Imagine having to edit dialogue and sound effects while competing with the stentorian rumble of Hans Zimmer’s deafening score — now that’s a Herculean task that only the steeliest sound editor could accomplish without having his senses bludgeoned to a pulp. Cutting the drone of light cycles to Daft Punk is dreamy kid’s play in comparison. 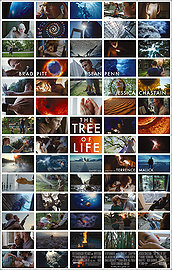 Oftentimes, the technical awards are given to films that are a little too left-of-center to take home Best Picture. 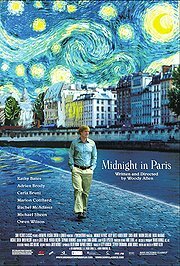 Given that Inception was undoubtedly an achievement of filmic technique, and given that it’s the only film nominated for both Best Sound Editing and Best Sound Mixing, we think it will pick up another Oscar in the latter category. Dude, they folded the city. The shorts are always something of a crapshoot, since few people have actually seen any of the nominees, and the live action category is no exception. Our money is on God of Love, the whimsical tale of a young hipster who gets pricked by Cupid’s arrow. Chronicling three children adjusting to a new school in Tel Aviv, Strangers No More seems like the perfect choice in this category: it’s got cute kids, political topicality, ethnic diversity, and a feel-good message. Yeah, we know — seems like an obvious choice. 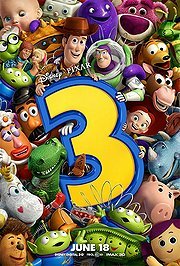 For one thing, it’s from Pixar, and for another, it’s one of the few shorts in any category that the moviegoing public even saw, since it preceded Toy Story 3. Still, this is an infectious, dazzling little movie, and we think it’s going to get the nod over its lesser-known co-nominees (though there’s some buzz for the The Gruffalo out there).